Duplicate my biz model and create a life and business you love. Welcome! I am so excited you are here! I know you are passionate about creating a lifestyle that is full of choice and freedom. Your health, wellness and self-care is important to you too, and you love to help others achieve this too. I lead a collective of women to change lives one person, one drop, one oil at a time. We are not here to live a mediocre life, we are here to live an amazing life and leave a legacy that will live on after we are gone. We believe in ourselves and each other and will always encourage each other to choose growth over comfort so we can truly live the lives we desire. We have space for you to join us too. We all come from varying backgrounds but one thing is certain, we are all here to live our dream lives by doing purposeful work in the world, aligned to our values that gives us time and financial freedom. We all want more out of life and refuse to believe that “this is it”! I was searching for something for a long time that I could create just for me (and my family) around my 9-5 corporate role that I could transition into working in full time. When I learnt more about doTERRA, it ticked all the boxes for me! Myself and the women on my team are working in the pockets of time we have around work, family, children, life - whatever it is we have going on around our small (BIG) business to create part time and full time incomes. The business opportunity with doTERRA is really the gift behind the oils. And the opportunity is there for you too, should you choose to take it! If so, then I’m honoured to take you through a snapshot of what this same opportunity could mean for you. I’ve created a space for you to jump in and start NOW! To use the most amazing essential oils + wellness products in your own life while you bless others with them too. I am Sarah Poppy, a Platinum leader with doTERRA, mum to two crazy but beautiful children, Hudson (8), Ashlee (6). We live in Brisbane after moving from Adelaide for a change of scenery and we love it here. I purchased my first essential oils back in December 2015 and from there began a love affair with doTERRA, essential oils and exploring ways to use them to reduce the toxins in our home, support our moods and emotions and generally help us up level our health and wellness and use them as our number option in our home to support our bodies. 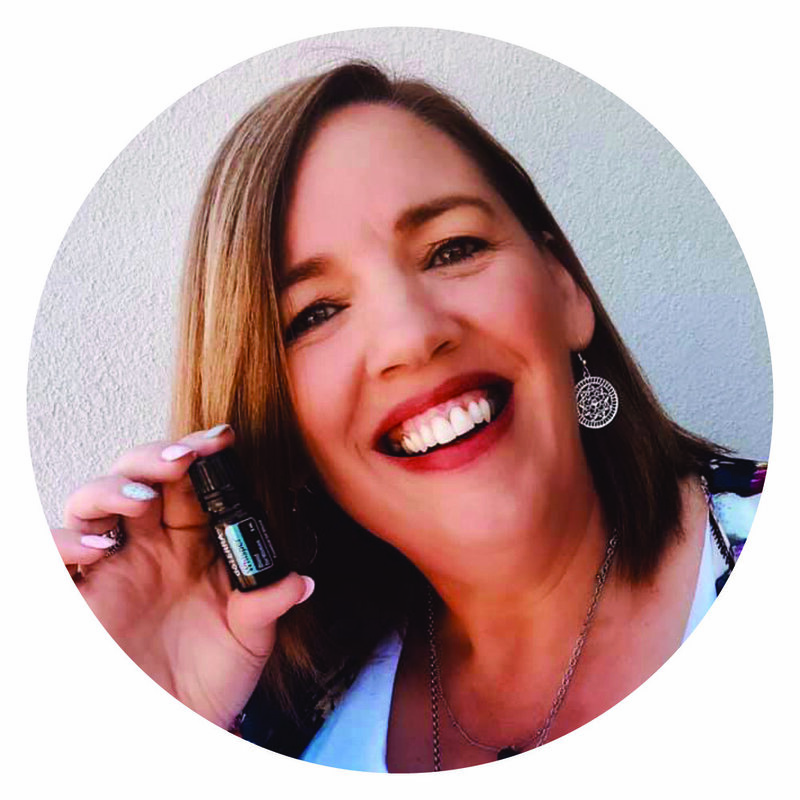 When I got my oils, I knew they were special and I knew they were the vehicle I had been searching for to create a business that I could transition into full-time. I had tried other direct selling companies, blogging, freelance work and even created an online course with a friend, but there was still something missing. 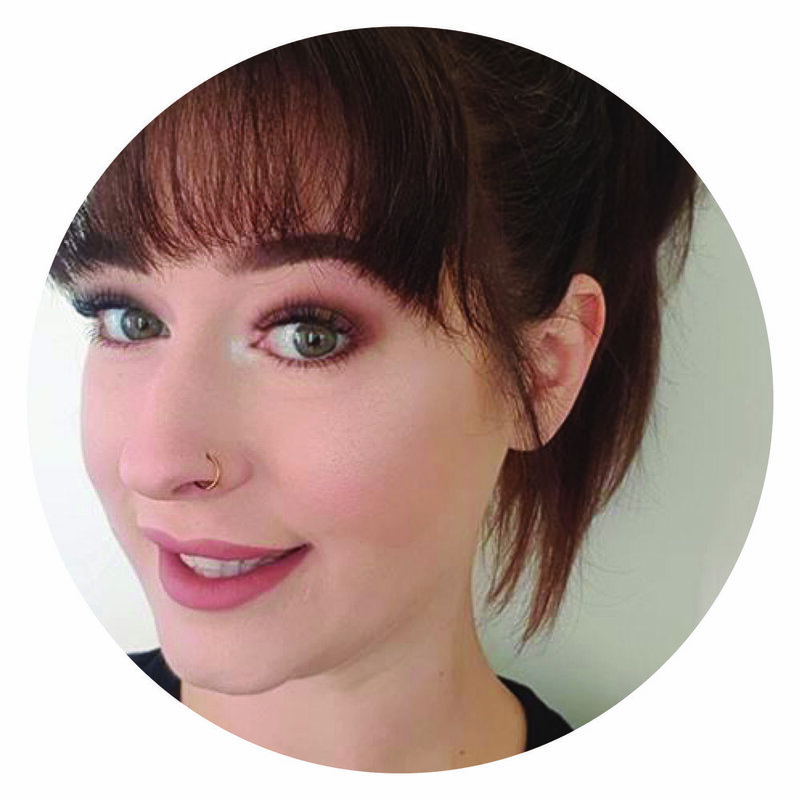 doTERRA was exactly what I had been searching for AND it filled a gap I had been searching for – and that was a community of like-minded women – a team that is there for each other to support, encourage and lift each other up. I got that with doTERRA and so much more! While I am passionate about getting oils into homes, I am also super passionate about working with women to create their own wellness businesses with doTERRA. Our team is full of incredible women all with different goals and visions of what they want to create. Some of them share the oils so that they can have their oils paid for (yay for free oils), some are creating some pocket money for themselves, others are creating a part time residual income stream for their families, others are creating a full time residual income and others are multiplying their income (earning the equivalent of the Prime Minister’s Salary while they sleep! No joke!). While doing this they are changing lives of women, children and families all around the world. You may be reading this and nodding along, with your heart beating a little faster, possibility sparked in your mind – don’t worry, you are not going crazy, it’s a sign – a calling that you need to pursue. The network marketing model chosen by doTERRA to get their oils into hands and homes is so incredible. It is such an incredible vehicle for women to create their own business in the pockets of time they have. This business model can support you in a huge way financially. You are in business by yourself, but you don’t have to feel isolated or alone. You have the support of a team around you and as well as working hard, we love to connect and have fun too!! So, how does this network marketing business work? Lots of companies spend millions or billions of dollars on advertising, marketing and public relations activities to market their products to consumers. doTERRA knew that to impact the most amount of people, they needed to use a person to person model for sharing their oils. They wanted people to connect and sit knee to knee to get their oils into homes. This is networking and the network marketing business model. They also have a vision to be the company that gets the most people out of debt so in order to do that they decided to partner with their wellness advocates and enable them to create small (BIG) businesses of their own. Most small business owners with doTERRA are women, many with families. The network marketing business model gives them the flexibility to work when it suits them and the earning potential is unlimited. I believe that network marketing and creating residual income is the best way to create a life and business that you love. There are so many women out there recognising that there is another way to work and earn that doesn’t mean sacrificing time with their families. Many of these women are on my team. We don’t want to be tied to a 9-5 corporate role. We want the freedom to work when and how we like – this model allows us to do just that! You may be thinking to yourself “I could never do that!” but the truth is that you absolutely can and many of the women in my team and now doing what they thought they could not do. Not only are we supporting our families in health and wealth, we are also contributing to supporting families all around the world through doTERRA’s healing hands foundation and co-impact sourcing model. Before we dive into more detail on the biz opportunity - I want you to understand why so many people are experiencing more abundance + freedom in their life through sharing these oils. The way we live, the choices we make, the products we use, the food we eat, the company we keep etc...it’s all an expression of our core beliefs. And one of my core beliefs is that the body was designed to heal itself. And when given the right support...it does. Beautifully. Mammas around the world are feeling empowered to take care of their family’s health in a natural way. Where health coaches could help their clients go to that next level of wellness. Where practitioners could have a product that their clients could use at home after being adjusted. I wanted to be a part of it all - I believe so much in doTERRA’s vision. Essential oils are growing in popularity, and for good reason. They have been around for a very long time and their use is even mentioned in the bible (true story!). Many people, mums in particular are looking for natural solutions for their own health and wellness and that of their family. If you haven't been exposed to pure essential oils before, you may be wondering why they are attracting so much interest. Essential oils enable people to be proactive with their health and wellbeing, they enable people to embrace self-care, they enable people to live a low-tox lifestyle and reduce or eliminate chemicals in the home, and they provide support for emotional wellbeing. Essential oils are suitable for everyone, not just hippies (as I first thought) and a growing number of people are adding essential oils to their homes. As our team was growing very quickly, I saw the importance of creating systems that would help simplify the process of getting started. And I think what it has especially done for women is an opportunity to move from feeling liberated to empowered. Our team attracts spirited, caring, cup-filling individuals and I adore the culture + community we have! When you enrol with me you are not only supported by me, but you are supported on a larger level through our global team in an incredible way! I adore my team - we have such a diverse group of childcare workers, teachers, holistic nutritionists, stay at home mamas, chiropractors, yogis, energy workers, massage therapists, full time corporates about to hand in their 2 weeks notice… we live in such an incredible time. To be able to plug into a biz model like this and create a life where happiness flows with income. Everyone has a tribe - whether you’re a stay at home mom or run a successful health coaching business. Knowing this - do you realize that we are all in “sales?” People will say yes to people they know, like and trust. If you’re a health coach - you’re in this industry because you are so fulfilled in helping + serving others. And the ultimate honour in life is really to be in service to others using our gifts and talents. But you also know how saturated this industry is and with the boom of students attending holistic health school, it is going to be harder to have a successful coaching biz as the years go by. I think it’s very important for coaches to have a product you believe in and a passive income stream in your biz. If you’re a stay at home mum or work full time in a separate industry - this is the PERFECT side business. You can grow it as slowly as you wish and if you have a passion for helping others live healthier - doTERRA provides amazing, free education to us along with the system I provide to help you feel confident! Motivate, my secret weapon to get hubby into the cleaning spirit. Tea Tree, with 2 young & very busy boys it saves the day when an ouchy strikes. "Love the life you live or change it"
Bergamot - because it’s good for your soul. Vetiver - because it’s good for sleepy time. Frankincense - because it’s good for everything! Neroli for its beautiful aroma and the calming effect it has on me, DigestZen for how amazing it has been for my tummy health and Peppermint because I just love my tea in the mornings. Peppermint tea in the morning is to me what coffee is to some. Patchouli because I am just an old hippy at heart and I fell in love with patchouli when I was a teenager. DigestZen as we have lots of tummy issues in our family. Easy Air for a great night sleep. Lavender is our go to for everything! You can’t change people’s actions but you can choose how you react to them. Balance, to help keep me feeling centred and calm. Past Tense, zens me right out at night and helps take tension out of my legs and feet at the end of the day. Manuka, works wonders when it comes to random skin issues! “You have been assigned this mountain so that you can show others it can be moved” - Mel Robbins. Lavender - our go to saviour oil at home for the whole family. OnGuard - for all those nasty germs that enter our house, or to protect us when we are out and Clary calm/sage - for all things women, for my endometriosis. Have recently used it most effectively to help us conceive. Balance, to give me that sense of calm. I’m constantly looking for Lavender Peace, to help me relax and refocus. OnGuard, to assist with immune function and a clean home! If you hang out with us for long enough, we’ll brainwash you into believing in yourself and knowing you can achieve anything. Does your current income stream have a cap? I believe that money is simply an exchange of energy and that you should be recognized abundantly for the good that you bring into others lives. I use these incredible products + essential oils to live a very health life and I help others learn how to do that too. I have never once “sold” someone. I want for them what I have for myself. Total freedom + a life I love. And it’s here waiting for you. The model of your doTERRA biz is simple: You succeed the more you help others succeed. Fast Start bonus: doTERRA will pay you 20% of the Point Value on products & starter kits purchased by those who enroll as a Wellness Advocate through you. You get this check the WEEK after they make their first purchase and for anything they buy in the first 60 days they are enrolled. Oh – and the person that enrolled you? They get 10% of what this new person purchases, and the person that enrolled THEM, gets 5%. CLICK HERE for more on this bonus. Unilevel Commission: This is a monthly commission that you are paid based on the overall sales of your doTERRA team that month. The more they buy, and the larger your team grows over time – the more you are paid. This amount at first is small – but it REALLY builds over time. This is what we refer to as your RESIDUAL INCOME…you get this money EVERY month as long as you maintain a minimum 100pv Loyalty Rewards Order. That means that even if you step away from building a doTERRA business – purchases made by your downline team members will continue to pay you for EVER. Leadership bonus pools: doTERRA offers monthly bonuses to those who build larger teams over time and reach the rank of SILVER and above. One of the bonuses – the Leadership Performance Pool – is 2% of the topline, worldwide sales divided into payments for those who have reached the Silver Rank and above. It is a GREAT additional bonus and continues to grow in value as the company grows. Person-to-person sharing: Meeting for an oils + tea date, handing out samples at the gym, having your favesin your bag for others to try, mailing samples to friends and family, inviting a person to your home to try them, and so on. This is going to be best if you feel more confident working 1:1 as opposed to presenting to a group. Sharing on a blog or website: This can be something like a banner on your blog or website, a blog post(s), webpage(s) describing the oils or how to use them, or just casually lacing your own personal use throughout your writing, site photos, etc. Sharing through social media: It could be Instagram pictures, or photos, articles, or mentions on social sites like Facebook, Twitter, Pinterest, Tumblr, etc. It can be casual or formal or anything in between. Free or paid ONLINE classes: A paid or free online class could be a teleseminar, webinar, e-course, ebook, etc. These are generally created once and redistributed again and again. Free or paid coaching/consulting: If you’re a health coach or wellness practitioner or offer some other service that fits you can offer one-on-one support for your clients who are using doTERRA products and create health protocols or coaching regimens based on the oils. EASY. Become a wholesale member by choosing and purchasing your starter kit of oils. Set up your monthly loyalty rewards order of 125PV (about $170 Australian dollars per month - your ONLY business expense. If you’ve ever started your own business before, you’ll know what a low start up investment this is). Then you’re ready to share and earn. Go HERE to become a wholesale member, choose your enrolment kit + set up your loyalty rewards order. As soon as your enrolment kit is purchased, I'll be in touch with you within 24 hours to officially welcome you into our tribe, add you to our private online beautiful biz builder community + set up our call together where I'll guide you in getting started with your new oils kit and business. I’m so thrilled to guide you in your biz. If you can’t wait to get started, shoot me over an email to sarah @ theessentialsociety . com . au OR get started by choosing your enrolment kit and we’ll book in your welcome call (and can’t chat all things biz building together then too). I can’t wait to welcome you into our tribe!